OTC is an abbreviation of Over The Counter. This term refers to drugs you may legally purchase without a doctor’s prescription. Such drugs are commonly available from pharmacies or supermarkets. You’ve likely taken such medications for alleviating the symptoms of cold and influenza and for temporary complaints such as constipation, mild pain and queasiness. Patiently catalogue the entire range of applicable and available medications. Study the drug’s labeling to ascertain exactly what conditions the drug is intended to treat. Select a drug which treats only those symptoms you are currently experiencing. As an example, if you suffer from a cough, don’t choose a drug which also treats headaches and a runny nose. Always check the listed side-effects and contra-indications. Certain medications can be dangerous if you have a pre-existing condition such as high blood pressure, asthma, etc. If any uncertainties arise, seek clarification from a trusted medical professional such as a pharmacist or doctor. Most medications are available as a generic version and the original brand name. 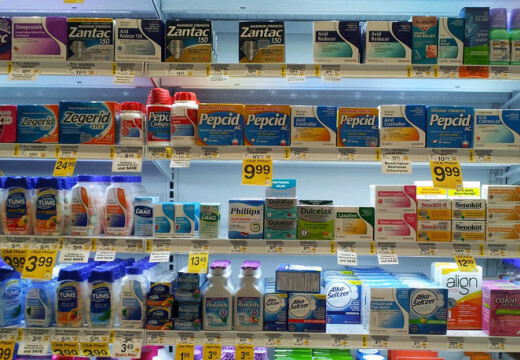 Generics are often significantly cheaper than the brand name type. Study and contrast their listed ingredients. In cases where the generic contains the same ingredients at the same concentration as the original, it often makes sense to select the generic. Generics are usually just as effective as brand name medicines. Seek the advice of a trusted medical professional if any differences remain unclear. Which symptoms the drug treats. The recommended dosage and duration. The device required to measure the correct dosage, if applicable. Potential adverse effects and the suitable measures to control them. Any special instructions, such as whether the drug should be taken with food or prior to sleep. Other substances to avoid when using the medication, such as alcohol (commonly advised against when taking antibiotics), particular types of food or certain other medications.